The “magic” ingredient that allows mosquitoes to breed is water. More specifically, mosquitoes lay their eggs in standing water, and the eggs hatch in just a day or two. 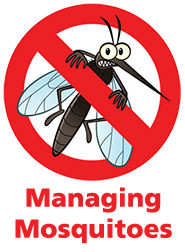 Since many generations of mosquitoes are capable of breeding in your yard, it makes sense to remove any sources of standing water that aren’t absolutely necessary. • Old tires, cans, bottles, jars or buckets should be drained, turned upside down or removed. 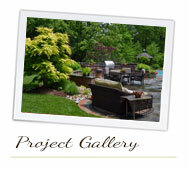 • “Kiddie pools” should be emptied weekly, or stored indoors when not in use. 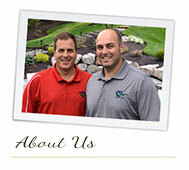 • Leaky faucets that allow water to collect underneath should be repaired. • Bird baths should be changed often (once or twice per week). • Pets’ water dishes should be emptied and refilled daily. Of all the world-wide environmental issues we can get involved in, probably the most personal and closest to home involves the patch of lawn and the trees and shrubs growing in our own backyards. Plants contribute to our health and comfort as well as to a better environment. They produce oxygen, filter impurities from the air, reduce the demand for cooling in the summer, act as windbreaks and insulators in the winter, and even filter pollutants from surface water. 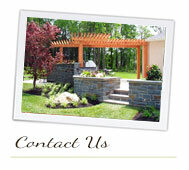 Our plants also help reduce global warming and reduce noise pollution. Taking good care of your property improves the quality of life for your family, your neighbors, and the whole community. Using professional lawn and landscape care can make you a good citizen of Earth by contributing to everyone’s environmental well-being, while allowing you the leisure to enjoy your home and property more. 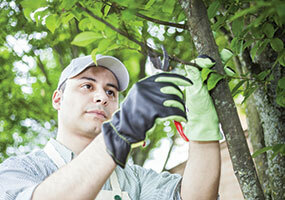 Most trees and shrubs benefit from annual pruning. It keeps them in shape, gets rid of dead and diseased wood and encourages new growth. But not all trees and shrubs should be pruned early, especially some of the flowering ones, which may be about to blossom. 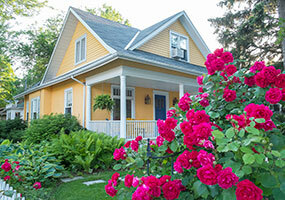 When is the proper time to prune flowering trees and shrubs? Part of the answer depends on whether the time of flowering is in the early spring or later in the season. 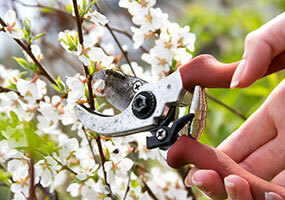 As a general rule of thumb, prune flowering trees and shrubs immediately after flowering. Early spring bloomers such as dogwood, forsythia, flowering crabapple and cherry, magnolia and azalea should be pruned immediately after flowering in late spring or early summer. In general, trees and shrubs such as crape myrtle, Bradford pear, knock out roses, spirea, and some varieties of hydrangea that flower after the end of June should be pruned in late winter to early spring when they are dormant. 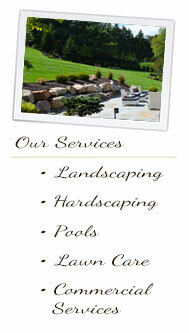 If you’re not sure about pruning or have trees on your property bigger than you can handle, call in an expert.